The facts of fully welded lockable ITSA GOAL posts compared to self-build flat pack goals from other manufacturers. A patented system – expansion and contraction problems eliminated Maintenance reduced – no need to constantly check and tighten bolts. A strong lightweight free-standing movable professional youth football goal. Each goal post goal has fully welded side frames, that do not work apart in use in the same way un-welded self-build goalpost do. The goalpost is easy to move and can be fitted with transporter wheels fitted under the uprights, dollies or optional rear roller wheels are also available. So much easier than other systems that have wheels that very quickly buckle over. The goal post frame can be quickly dismantled in the close season for storage. Ankle hand and finger entrapment is totally eradicated on these patented lockable goalposts. Controlled by a key holder the goal post is easy to move into position and anchor. 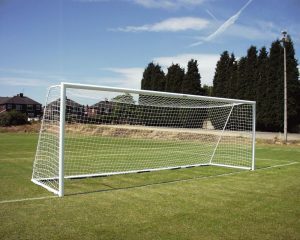 Goal nets can be removed or left attached to the frame when stored. Recessed net fixings enable goal nets to be attached quickly and neatly to the rear of posts. The fully welded aluminium construction has no nuts and bolts to constantly tighten or steel stanchions or brackets to rust. Included are long lasting white nets, unique new net fixings, and multi-surface anchors. 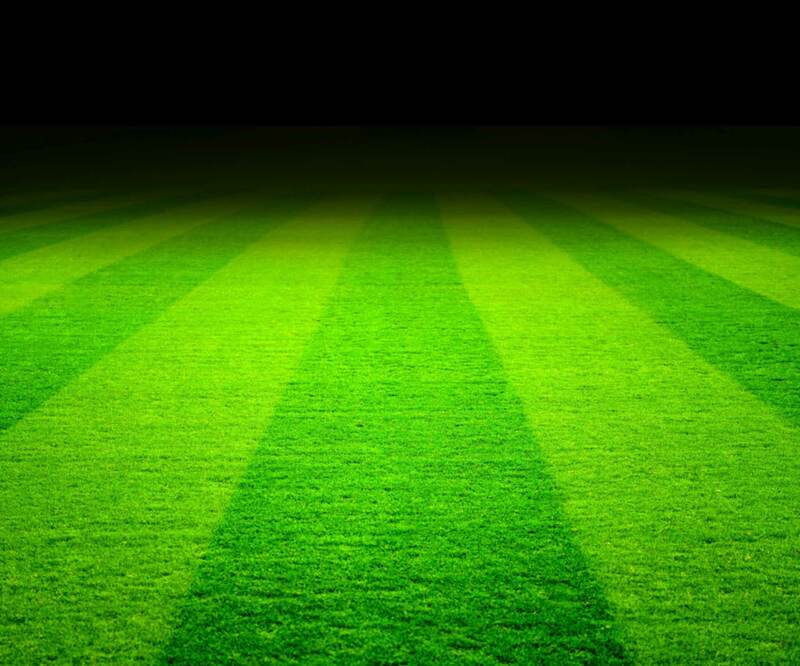 The goal frame, unlike other goal posts, does not damage artificial grass and has an optional counterbalance system that can be used integrally (hidden away) or used externally over the rear ground frame. This is not a flat pack self build goal. A GOALPOST THAT WORKS – NOT A GOALPOST THAT MAKES WORK! Please note the goalpost delivery time stated at the time of checkout is to deliver the goalpost using a standard courier. The larger goalposts are delivered by our own transport and delivery times vary. Football Goal delivery times may also vary on welded aluminum goals as they are made to order. It is advisable to contact our office if you require the goals for a specific date. Football goal posts with large crossbars may incur a delivery surcharge depending on your location as these are often delivered by our own transport. You may prefer to call the goal line 0114 242 4244 to check delivery details prior to ordering. The price shown includes VAT at the current rate. he best on line price for this Football Goal 21×7 is currently at www.soccertackle.com. £894.25p inc VAT click to buy online.